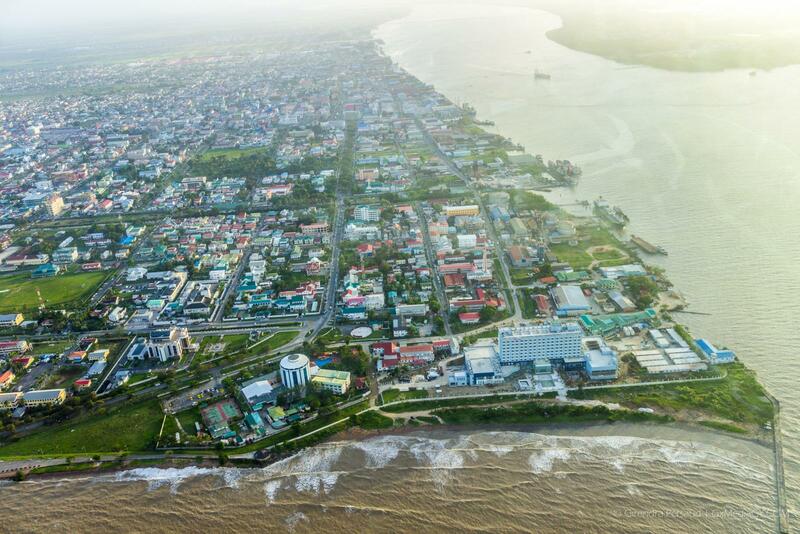 The buzz continues over the many benefits to be had from Guyana’s emerging oil and gas sector. Three Guyanese employed on the Nobel Bob Douglas drillship said they are thrilled at the prospects ahead. During a ministerial visit to the drill ship on Sunday, the Department of Public Information caught up with the three, who were among 23 other Guyanese that were able to secure jobs on the vessel, some 88 miles off Georgetown. They are delighted at the experiences which they say, will set them on a path of upward mobility. 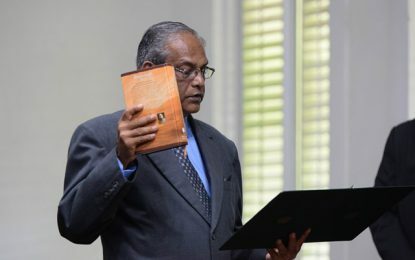 The Ministerial team in conversation with Andre Persaud on Sunday. Camroy Hobichan is head of housekeeping on the drillship. The Berbician said his daily routine is to plan menus that will satisfy the taste and preference of the over 60 nationalities on board. “What this means, for me and my family is a sacrifice we have to make. Everyone makes a sacrifice in life for the better and I think this was a good choice for me,” Hobichan told DPI. Former GDF staff, Nikisha Thomas is the “day cook” but does not plan to stay in that position for too long. She said there are many opportunities for any one person. Then there is 25-year-old Andre Persaud whose mission is to excel in the hospitality and mechanical engineering fields on site. He said he jumped at the opportunity to be part of the oil industry as he has some of the experiences the sector is seeking. The Noble Bob Douglas hovers above the 13th well being drilled by ExxonMobil in the Stabroek Block. The US oil major has found crude at 11 out of 12 wells drilled to date which marks seven discoveries. Making up the Guyanese contingent on the vessel are 14 persons in the catering operations, four roustabouts, two clerks, one doctor, and two logistics support personnel.